At midnight, time seems to stand still. Freeze frame. You look so amazing in your New Year’s Eve party outfit. 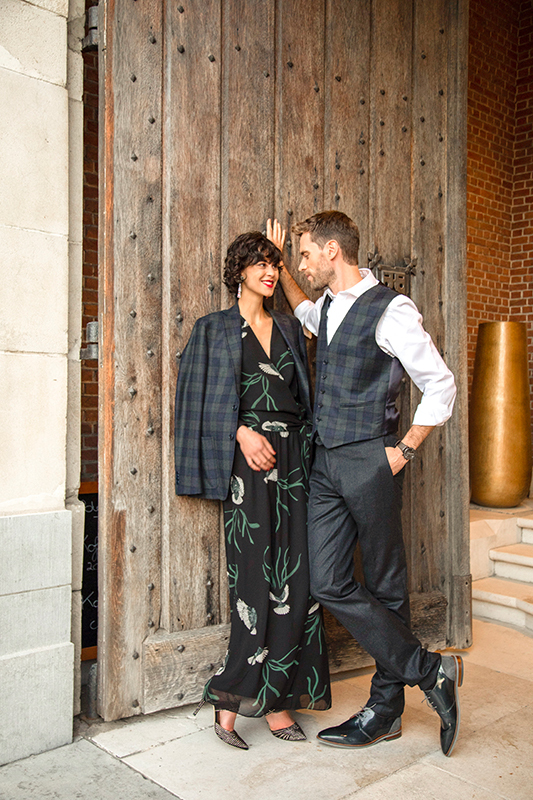 The boutiques at Maasmechelen Village love to celebrate the holidays with you, offering elegant and outstanding party wear. Shine bright all night! Brands like Ted Baker, Armani, Essentiel and BOSS guide the way. Having a crush on velvet? It’s time to go all the way this holiday season. This two piece outfit by Essentiel is your ticket to a relaxing Christmas family dinner. It’s not just about comfort, it’s also a very fashionable ensemble. Bottom and top are designed in the same bright pink, velvet fabric and are therefore absolute eyecatchers. The bag by Furla is a cute detail in a perfectly matching light colour. Sequins and New Year’s Eve go together like peaches and cream. There are so many sparkling options this season, and honestly: we want them all. Dazzle with this Stijn Helsen sequin blouse. The coat and elegant pencil skirt go perfectly with it. Or pick Michael Kors’ more subtle studded dress. The bag with golden details looks like it was designed specially for this ensemble. Talk about a couple that’s complementary. Dance the night away in this Ba&sh maxi dress. It stands for French finesse at its best. For him, this stylish suit by Boggi defines ‘chic’ without being over the top. The boutiques at Maasmechelen Village always guarantee a party-perfect style. Pick up your best friend and shop your outfits, bottom to top, during one relaxing shopping spree. Mix and match luxury fashion items by brands like Karen Millen, Ted Baker, Twin-Set, Liu-Jo and the whole will be amazing for sure!